The cabins are individually hand crafted using whole Douglas Fir tree trunks, they have been built using traditional post and beam construction, as used in traditional Canadian log cabins. They even have grass covered roofs to act as insulation. 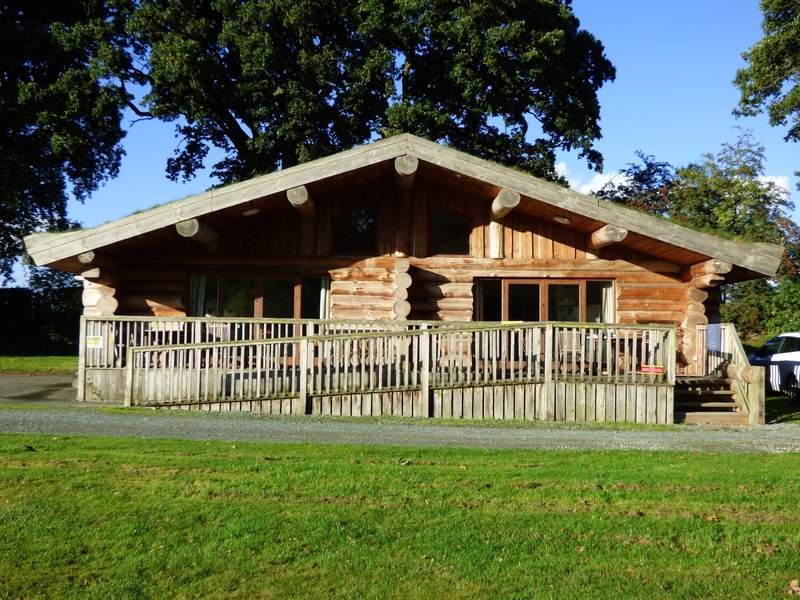 We have two log cabins which over look the fishing pools, each cabin is divided into two spacious semi detached holiday lets. Two sleep 6 people and two sleep 4. We also have a 6 person hot tub, sauna & BBQ area, just 20 metres from cabins 2 or 3. This facility can be booked exclusively for your stay. We are a dog friendly site and welcome up to two well behaved dogs per cabin for a small charge. There is an outside kennel for the exclusive use of Cabin 2, a cleaning fee is charged if used. Lower Heathwaen, Knockin, Oswestry, Shropshire, SY10 8DA.